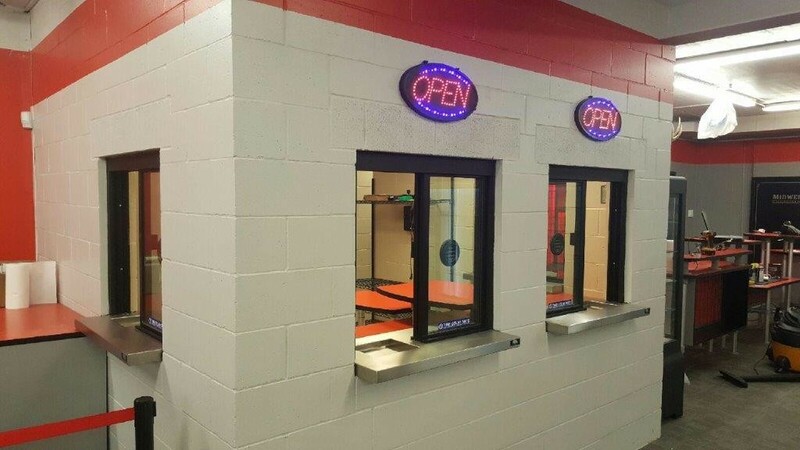 Today's market is looking for night time protection, but daytime "business as usual"
These windows can be used opened during daytime business hours, and used closed at night, when most crimes are committed. This high quality window can be fabricated to accommodate most installations. Level One Bullet resistant protection is provided with the 3/4 inch (19 millimeter) Lexgard Level 1 glazing and the window in the closed position. Most shipping weights are approximate and have not been verified. If the exact weight is needed in order to determine shipping costs, and shipping costs are required in order for you to complete your order, please request this prior to submitting your order by contacting Security Products Unlimited . Product images shown are of the actual product or a close representation. Colors can vary depending on your computer's video card and on how your monitor's color is adjusted. Pricing is not available Online because these products are custom and fabricated to order. Designed for heavy-duty commercial use and drive thru applications such as fast food restaurants, pharmacies, banks, dry cleaners and more.